The runnerd photo-a-day contest starts tomorrow! Anyone who posts at least 15 days in November will receive an oval runnerd sticker. 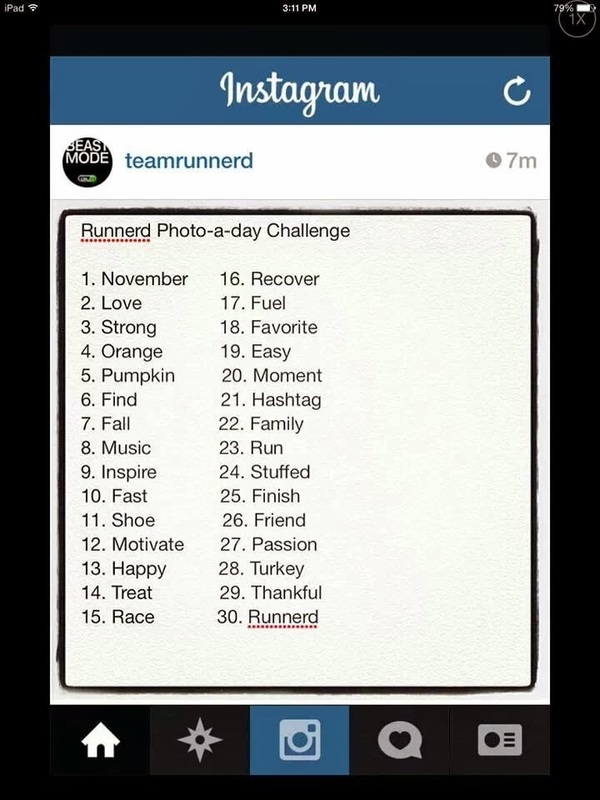 Please tag @teamrunnerd on all your posts! Everyone who posts every day will be entered into a drawing for the item of your choice (up to $25 value) from the Runnerd Shop. There will be two winners selected by random.org. These winners will each receive a runnerd keychain. The nominees will be selected by @teamrunnerd and then voted on by you! Remember to try to make your posts as runnerdy as possible. You can send any questions to candice@runnerd.com or leavea comment on this post. I'm excited to see your posts! I have yet to get into Instagram that's one social media site I haven't fallen prey too yet! Probably because I don't have smart phone. But if I get inspired I'll try to sign up these contests are always fun!